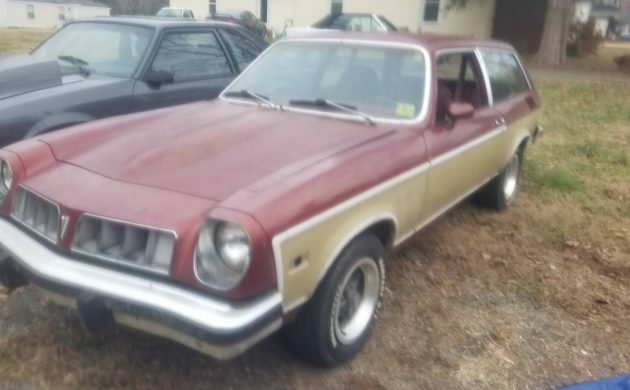 While we often see the Chevy Vega listed for sale in varying degrees of condition, its corporate twin the Pontiac Sunbird “Safari Wagon” shows up far less frequently. 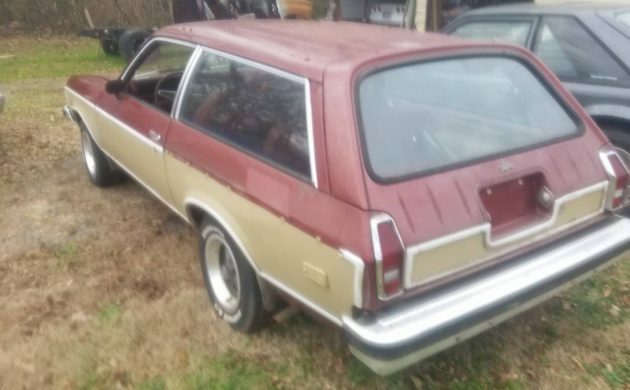 This example is an artifact from another era, when two door wagons were a thing and wood veneer paneling was acceptable everywhere. This is the four-cylinder model which is paired to an automatic and has recently undergone a engine rebuild of its 2.5L mill. Find it here on craigslist for $3,500. Thanks to Barn Finds reader Ian for the find. Speaking as someone who just recently purchased a wagon for daily use, it’s a shame this body design didn’t ever resonate with American consumers. It really is smart packaging, with the lower ground clearance needed to ensure tighter handling than any SUV or CUV could ever muster. This example appears to be free from major rot, but the picture quality makes it hard to be sure. The interior is OK, with visible seams splitting on the driver’s seat. 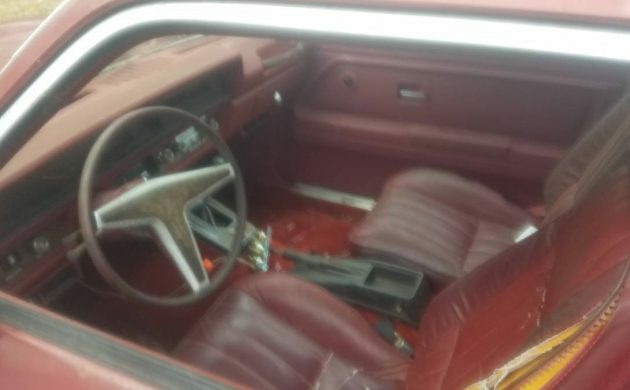 There’s a lot of red to address here, from the faded cardinal exterior to the matching carpets, seats, dash, and door panels, but this is typical for the era. 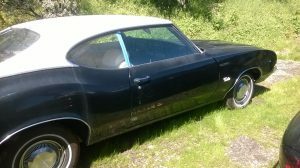 The automatic transmission is a bummer, as a stick would make this Pontiac even more interesting than it already is. So would one of the larger optional motors, but engine swaps are pretty easy. The seller says it does need some TLC despite the engine rebuild, but doesn’t elaborate as to what this constitutes. The cosmetics you can live with as there’s nothing obviously egregious to report, but if there’s rot underneath or more mechanical faults to sort, that would be good information to have. 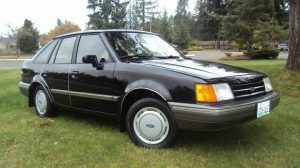 A quick Google reveals plenty of ways to customize these clever Safari Wagons, so would you choose to modify this one or restore it back to OEM condition? Photos taken when bought at auction in 1981. The missing trim pieces and vinyl wood cover might be hard to find, but this is the best of the body run for me. I’d probably try to bring it back to life as it was built. A good grocery getter, maybe even a parts chaser, get it up in the air and look at its bones (underside) before you purchase. 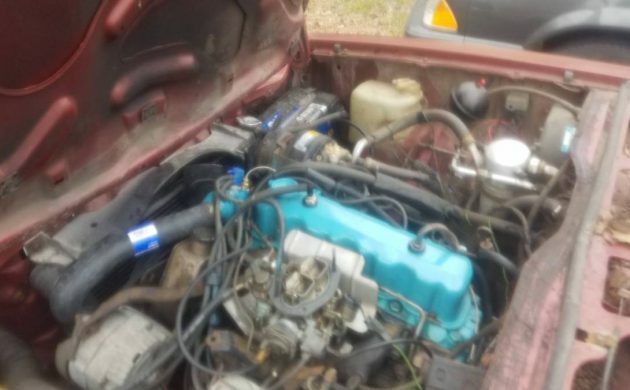 A light v-8 swap is my choice. 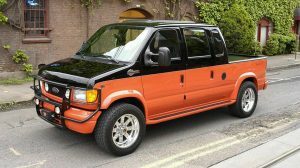 These where originally designed to have a v-8! The 4cyl was always gutless. We referred to to the Vega as the the vegamatic FYI. That’s the Iron Duke engine. Great torque for it size but limited revs. Mostly bulletproof. They are able to accept a V8 but they were designed to be 4 cyl subcompacts. This is the continuation of the Vega/Astre wagon. The wagon was added to the H Body Sunbird line for 78-79 when the Vega/Astre were discontinued after 1977. The H Body Monza/Sunbird/Starfire/Skyhawk were originally designed to use a rotary built under license by GM. 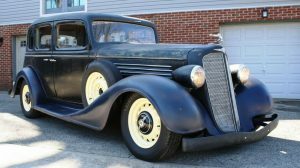 GM couldn’t make it viable for emissions and fuel economy after spending millions to adapt it for the H and then had to use the Vega 4, stuff in V6s and re-engineer V8s to fit. AT is gutless true, but I have grown to respect the Iron Duke in our 88 Fiero w proper gear ratios it really flys. Change to manual trans or just leave it alone and enjoy it.. This Astre is the best of a bad lot today on Barn Finds. Bought at auctio in 81 for 500.